Black Canary. 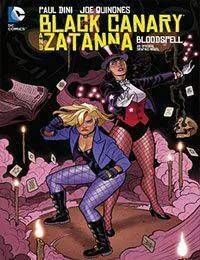 Zatanna Zatara. Two of the DC Universes brightest stars join forces to combat a deadly new threat: a chilling supernatural foe that preys on their weaknesses and unleashes their awesome powers against each other. Written by Emmy Award-winning writer Paul Dini!